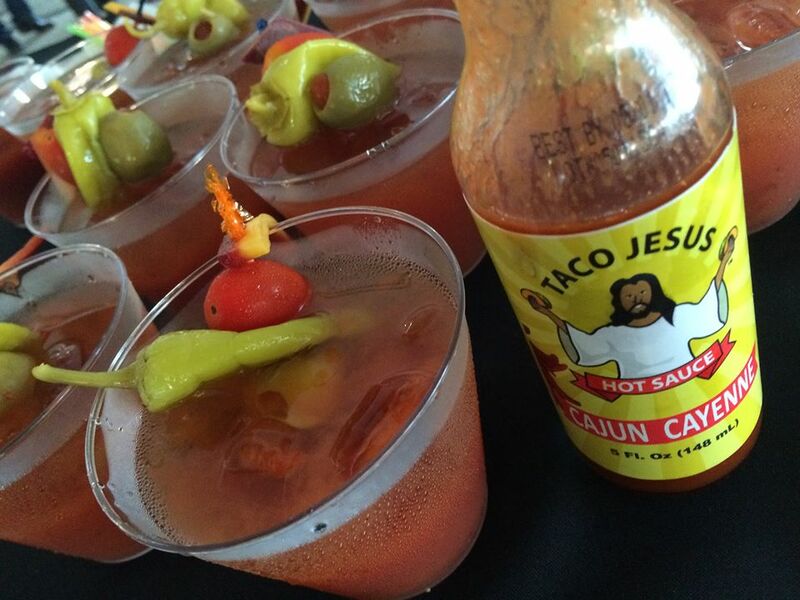 Taco Jesus Hot sauces have always been a great addition to any Bloody Mary, but now we’re taking Bloody Marys to a whole new level. 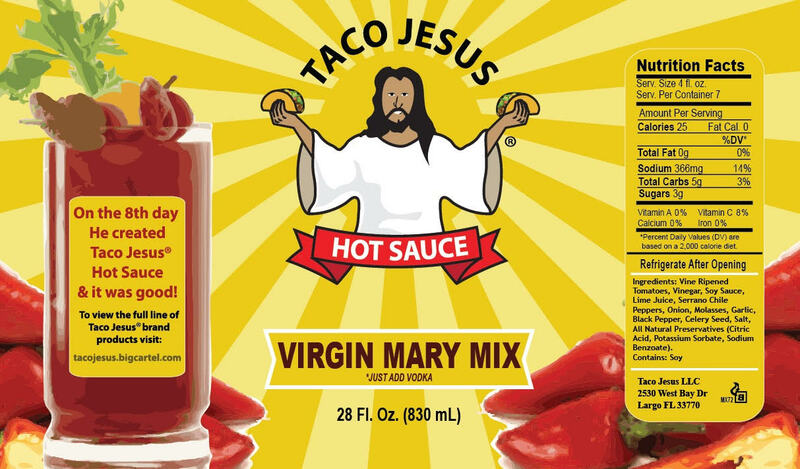 Taco Jesus Gourmet Foods is about to roll out the latest addition to our family of products – Taco Jesus Virgin Mary Mix (just add vodka) and a Bloody Mary will never be the same again! This great all natural mix infuses Serrano chiles, garlic, lime, onion, and tomato to make the perfect Bloody Mary. Just add Vodka for a fantastic Bloody Mary; great for red beers, as well. Chunky, fresh, spicy, and delicious. The first batch will arrive at our world HQ in Florida in mid January and we will be sponsoring a tasting event within the next month or so at one of our favorite local watering holes. Be sure to follow us on Facebook, Instagram and/or Twitter to find out about this great event and to stay on top of all of the latest Taco Jesus news.